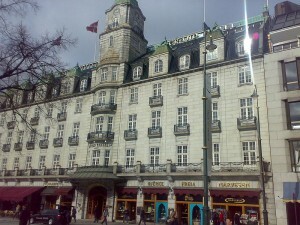 The clock tower of Oslo’s Grand Hotel is an imposing structure. Many will recognize the classical style building, with the white granite facade, as the site of the annual Nobel Peace Prize Banquet. Apart from the laureate, the annual dinner is attended by the King and Queen of Norway, and a host of international dignitaries. 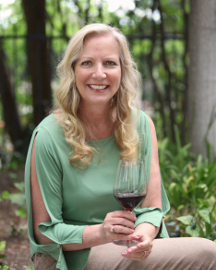 Today I am joined by friend, and fellow sommelier, Kjerstin Haugen. From our lovely setting of the Grand’s, Julius Fritzner Restaurant, named for the gentleman who founded the hotel back in 1874, we will be sampling some of the more interesting vodkas that Norway has to offer. Kjerstin also ensured that our table was set with some delectable Norwegian hors d’oeuvres appropriate for a vodka tasting. To my delight our appetizers included Dill cream cheese, goat cheese, smoked trout, smoked salmon, baguettes, and a particular favorite of mine, stuffed mushroom caps. 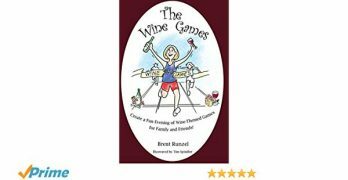 “I remembered how much you like the mushroom caps stuffed with crab meat,” Kjerstin’s face filled with a smile. The debate of what is vodka? Who first distilled vodka? What ingredients should be used in the distillation of vodka is endless. We can’t even agree on how vodka should taste or be drunk. Kjerstin and I do not subscribe to the notion that vodka should be a neutral spirit. If that were the case, it would not be an interesting spirit or an enjoyable drink. We prefer vodkas with flavor, vodkas with character, and vodkas that are unique. Our first selection was an interesting vodka from Heavy Water. 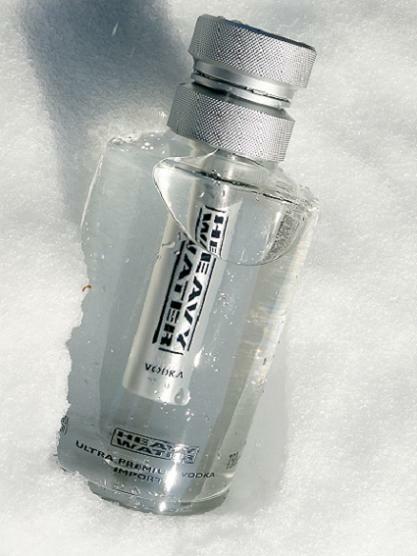 Considered a luxury vodka, Heavy Water is distilled from the finest winter wheat. To begin with, “Heavy Water” is the scientific term for deuterium oxide, or D2O, which is a molecule that occurs naturally in water. Heavy water is found in less than one out of every 6000 water molecules. A bottle of Heavy Water Vodka comes complete with a rod that infuses oxygen into every pour. 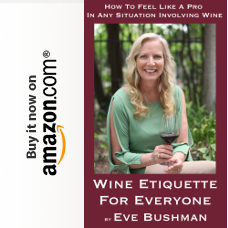 The attempt of the built-in aeration rod is similar to decanting or swirling a fine wine. “So does it achieve this end?” Kjerstin queried. “On a more positive note, the aerated aromatics and flavors bring out Heavy Water’s distinct vodka smell and taste,” I replied with amusement. Overall, Heavy Water is a robust, balanced, and refined vodka. If you are looking for something different and unique, you just may find it in Heavy Water. Our next selection’s recipe dates back to the 1500’s and the court of King Christian 1V. 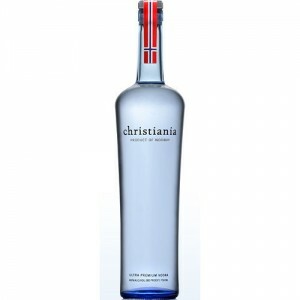 Christiania Vodka is potato based and made from Norway’s organic Trondelag potatoes, and pure arctic spring water. This premium vodka is distilled six times in a column still, filtered with charcoal, then aerated at the distillery. The goal of the aeration is the last step in eliminating all of the impurities. The result is a spectacularly clean spirit that loses that greasy texture typical of potato-based vodkas. Our last selection was from Arcus. 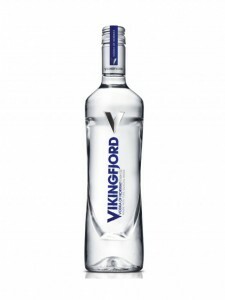 Vikingfjord is another vodka distilled from potatoes. Arcus utilizes the five-column process, using only glacial water from Jostedalsbreen glacier in South-Western Norway. The mild nose on Vikingfjord, is much less powerful than you’d expect from a potato spirit. Typically potato vodkas are much more formidable in aroma. 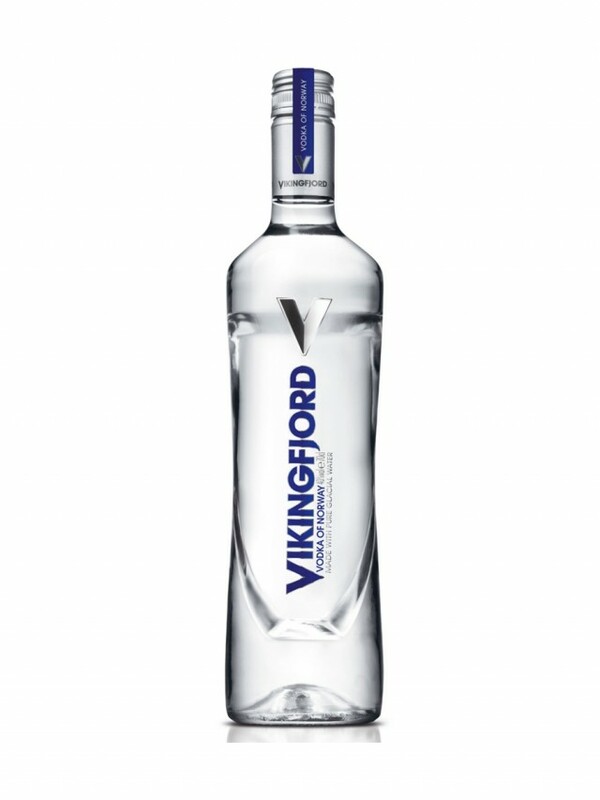 Vikingfjord is much sweeter in body than most vodkas. 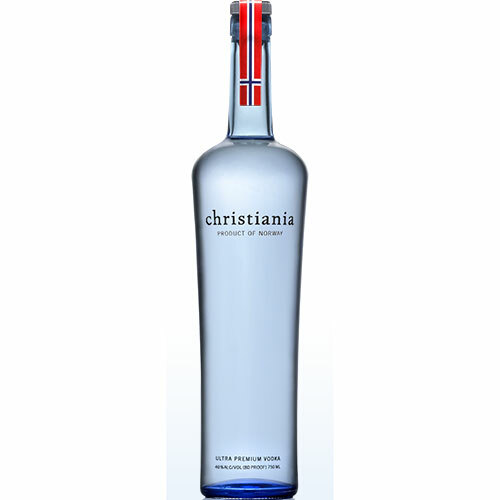 There is also a smooth buttery texture distinctive of this style of vodka. The pleasantly mild burn, with just a touch of bitterness in the back of the throat, is actually quite surprising yet refreshing. However the finish is lightly medicinal and there is also some lingering bitterness. All in all, Vikingsfjord is a fairly simple spirit.